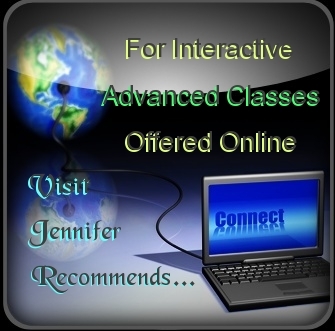 Jennifer Johnson helps people to reconnect to their own inner radiance, recognize their own uniqueness and step into their full presence in the world. I first learned about the love of God on the lap of my mother and at the feet of my father. Because of my core belief in the unlimited abundance of God’s love and a desire to help people step into their unique wholeness I have had a life long interest in healing, personal growth and spirituality. I received my RN license as a young woman and in mid-life I returned to school to receive a Master’s Degree in Pastoral Ministry and a separate Certificate in Spiritual Direction. With additional training in psychology on the graduate level I was able to weave my experiences together and receive National Certification from the American Nurses Credentialing Center as a Clinical Specialist in Psychiatric Nursing. I developed a private practice in which I was able to integrate my holistic, Body-Mind-Spirit approach to addressing the problems and challenges people brought to me. I was introduced to Resonance Repatterning in 1997 and began to immediately integrate it into my professional practice as a licensed mental health therapist and Psychiatric Nurse Practitioner. I have continued to use it in my personal life and since my retirement as a therapist I continue to offer sessions in person or long distance by phone or skype. I also am a teacher through the Resonance Repatterning Institute and serve as a mentor and Designated Observer for students seeking certification in this work. I have a curiosity about how the universe came into being and am fascinated by the amazing 13.8 billion years it has taken to bring us to this moment in time. I am in awe of the wonder of it all and have been in regular conversation with friends about this for the past few years as we read and explore this together on a weekly basis. I am especially interested in the relationship between the science of evolution as it relates to spirituality and religion. I am deeply rooted and anchored in a faith tradition which nurtures and sustain me but from that place I welcome interreligious and interspiritual dialogue. I believe we are all called on to bring our best and to offer our part to the Whole as we seek peace and healing in our world. I changed careers in midlife and began a career as a nurse practitioner/therapist in my mid-fifties. I had previously spent years working in long term care as a dementia specialist and co-authored a training manual for care-givers of persons with dementia. I served as an adjunct faculty member in the graduate theology program at Seattle University in the 90s where I taught a course on Aging and Spirituality. I continue to learn in each decade of my life and explore ways to expand and deepen my understanding of relationships, situations, and the ‘big picture’ as I seek ways to improve the quality of life for myself and others. I have been happily married to the love of my life since 1962. We have 3 grown sons and one delightful grandson. I am thankful each day for the opportunities that arise and the challenges we are invited to face with loving presence. I have attended workshops on the Enneagram, meditation, trauma, Jin Shin Jyutsu and various theological conferences. I enjoy reading, music, great conversations and friendships, and the beauties of nature.